We all know that eating plenty of fruit and veg is good for us. In Britain we are told to aim for 5 portions of different fruit and veg daily, but compared to the rest of the world we seem to be on the low side of recommended daily allowances. Did you know that the French are told to aim for 10 and in Japan they need 13 portions of veg and 4 of fruit to hit their quota each day!? I might not always fully succeed, we eat out more than I would like, but at home I try to feed my family a healthy diet, I don’t cook highly processed meat, other than the odd sausage. I always aim to get at least two different types of veg on our dinner plate (not including potato) and the kids all take two pieces of fruit to school. 1. When making pasta sauce or Lasagne add plenty of onions, peppers, mushrooms even courgettes. This will mean that you can bulk up with veg and use less meat, plus it tastes yummy! 2. A simple tin of chopped tomatoes can be added to many meals including casseroles, soups, pie fillings. It will enhance the flavour and give you nice little hit of antioxidants and vitamins. 3. Do some baking! No seriously, you can add raisins and other dried fruit to flapjacks and cookies, use vegetables like courgette and carrot to make cakes or muffins. Also Pineapple upside down cake is always a hit, which you can use any fruit like peaches, apples or pears in it’s place. 5. Fruit salad, yummy yummy. Sorry had to slip that Wiggles reference in there! Kids love fruit salad, whether its from a tin or made fresh. Also remember that tinned and frozen fruit is just as good for you as fresh, if not better sometimes! 6. Smoothies. I love smoothies, although I don’t have anything to make them in at the moment, which is something I mean to rectify before the summer. I find frozen fruit is best but you can use fresh too. 7. Juicing. You can create all manner of wonderful fruit and veg concoctions with a juicer. Carrot and apple, with a hint of ginger is especially nice! 8. Mash it. Okay I know I said I don’t do hiding food but mashing carrot or swede into your potato can add a tasty twist to your cottage pie. Also, you have to try mashed cauliflower at least once in your life, it is surprisingly delicious! 9. Try a stirfry. There’s nothing more simple, or delicious, than throwing loads of vegetables such as beansprouts, onions, cabbage, mange tout, baby sweetcorn and water chestnuts along with some oil and a splash of soy sauce. 10. If all else fails add cheese! Obviously you don’t want to overdo the cheese at every meal but occasionally making a cheese sauce to pour over cauliflower and broccoli, grating some parmesan onto a pasta sauce or crumbling some blue cheese into a soup can really make or break your meal. 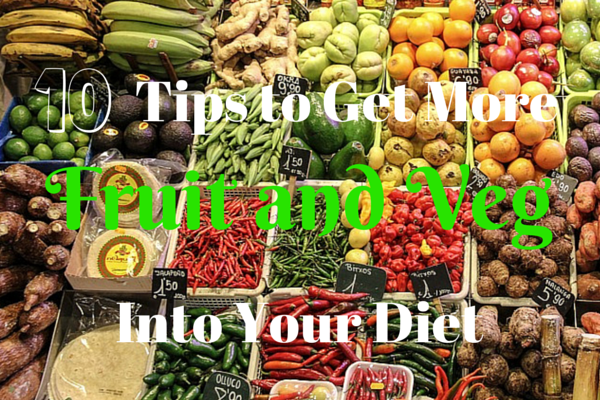 How do you like to add more fruit and veg to your diet? I’d love to hear you tips. Disclaimer: This post was written in collaboration with Legal and General however all thoughts and opinions are my own. Time to Kick This Extra Weight & Find the Thin Me Again! This post was originally going to be titled something along the lines of ‘New (school) year new me’ but I soon realised I don’t want a new me, I want the old me back again! Before I get ahead of myself let me explain. I am not one of those lucky women who fit back into their pre pregnancy jeans within a week of having their baby. I am definitely not one of those mothers who breastfeed and find the weight just drops off them! In fact I am the complete opposite. It’s true! My appetite is huge when I breastfeed. My supply has never been wonderful so I think my body needs those extra calories, even if its just on a subconscious level. But obviously when your baby is feeding frequently your sitting down doing nothing. Then they fall asleep on you, which means you daren’t move for fear of unleashing the wrath of the grumpy tired one, but most importantly for me; I enjoy having the cuddles! With my older children, I had twins first and the next two followed in relatively quick succession, I never had the time to sit and adore one baby and give all my attention to them and them alone. There was always someone else who needed my attention too.